I traveled to New York for a big Italian wine conference in the heart of this brutal winter. After canceled and delayed flights, I finally landed in NYC. An entire week in NY sounded great but I was committed to a conference all week (yes, filled with drinking wine) and little free time. But, with one night free, I ventured out into the cold to meet up with friends for dinner. With so many restaurants to choose from in New York, I am lucky to have a local foodie friend who always has a list of places to try. This doesn’t mean that we will be going to the newest restaurant. This means that we will be going somewhere that is bound to have delicious food and that I would never have found on my own. On this outing, we went to Maysville in the Flat Iron district. 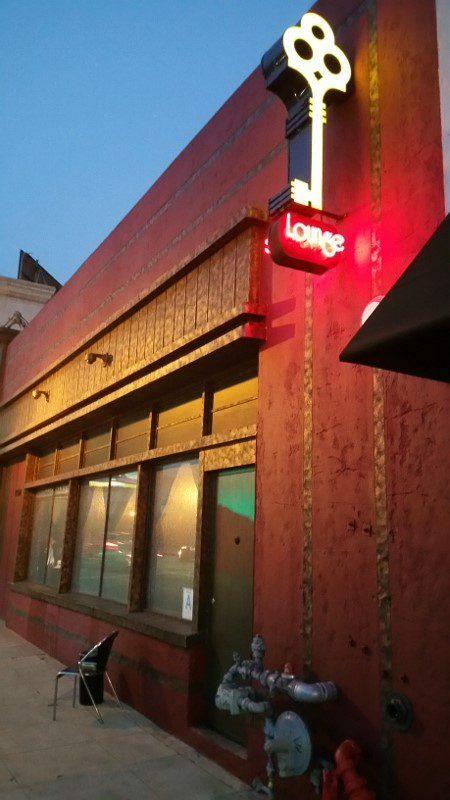 This isn’t just a restaurant, it is a whiskey bar as well. 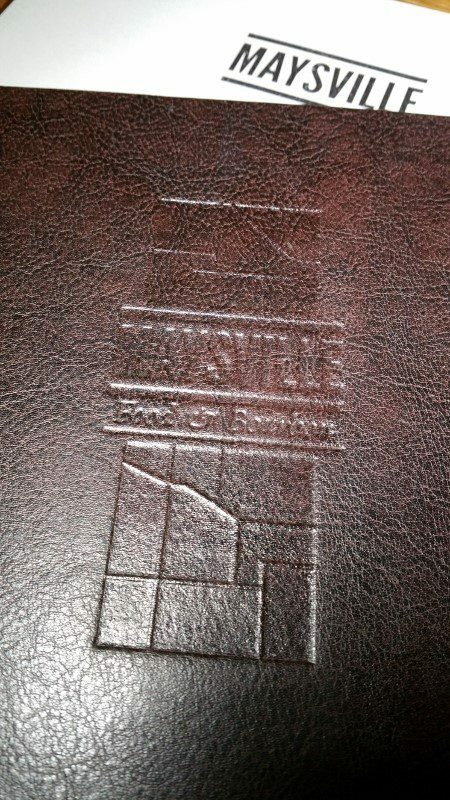 Maysville is actually a Kentucky port town that is the birthplace of bourbon. 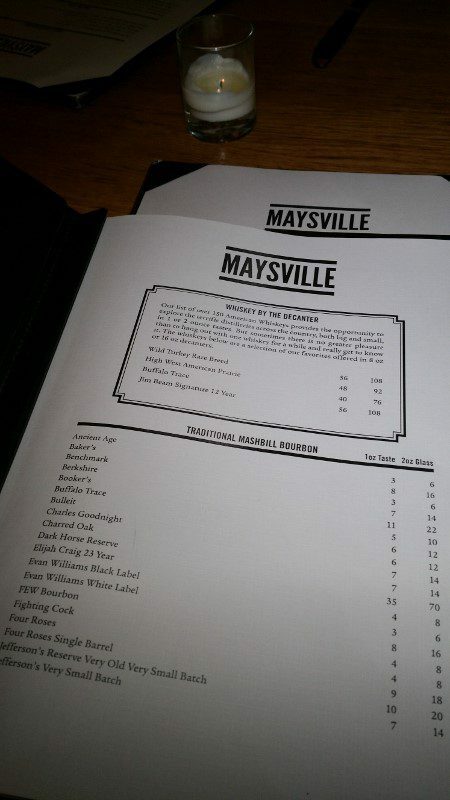 Maysville has an extraordinary whiskey list that consists of over 150 American Whiskeys. 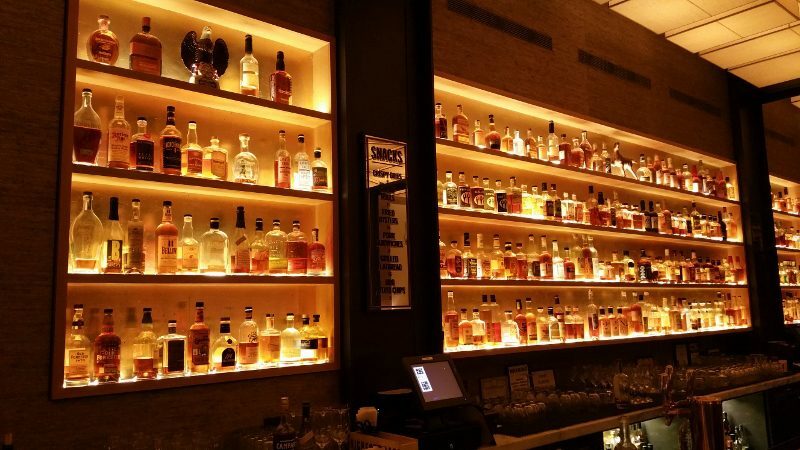 Even better, the whiskeys, which come from distilleries across the country, are all available in both 1 and 2 ounce tastes. On a cold night, a little taste, or two, was in order.